Home Dynasties Qin Dynasty The Secret Tomb of China’s 1st Emperor: Will We Ever See Inside? The Secret Tomb of China’s 1st Emperor: Will We Ever See Inside? Buried deep under a hill in central China, surrounded by an underground moat of poisonous mercury, lies an entombed emperor who’s been undisturbed for more than two millennia. The tomb holds the secrets of China’s first emperor, Qin Shi Huang, who died on Sept. 10, 210 B.C., after conquering six warring states to create the first unified nation of China. Qin Shi Huang (pronounced “chin shuh hwang”) was born in 259 B.C., first son to the king of Qin, one of six independent kingdoms inside modern China. These kingdoms had been warring for more than 200 years, but through a combination of military strength, strategy and natural disasters, Qin Shi Huang conquered them all, proclaiming himself not just a king, but also an emperor — the first of China. In 1974, a group of farmers digging wells near Xi’an, China stumbled upon one of the most shocking archaeological discoveries of all time. The life-size terracotta solider they dug out of the ground turned out to be just one of an army of thousands, each utterly unique, with individual clothing, hair and facial features. For almost four decades, archaeologists have been excavating the site. So far, they’ve uncovered about 2,000 clay soldiers, but experts estimate there are more than 8,000 in total. “They’re going to be digging there for centuries,” Romey predicted. “I wouldn’t be surprised if you had some sort of robotic visual survey going in there at some point,” Romey said. 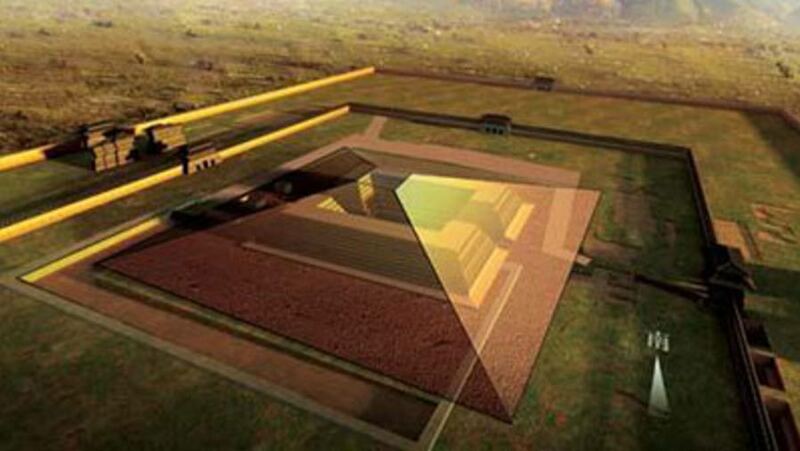 And despite their desire to protect the treasures of antiquity, archaeologists are itching with curiosity to find out what’s inside Qin Shi Huang’s central tomb. And Qin Shi Huang’s tomb is also thought to be encircled with rivers of liquid mercury, which the ancient Chinese believed could bestow immortality.